* Boo Boo Guru's Soup kitchen - selling hot and hearty home made soups of the day! * SarJah's kinda Kitchen - servin' up italian sausage dogs & chrispity chrunchy Grilled Cheese! ** New and Improved Grape Flavor! ** Buttcrack Rock Afterhours hosted by Take Back the Night! ** Competitive Hugging Ring - Final Round! ** Felix the Fire Cat's fire spinning zone! ***PLEASE CARPOOL*** to the best of your ability as parking is limited! 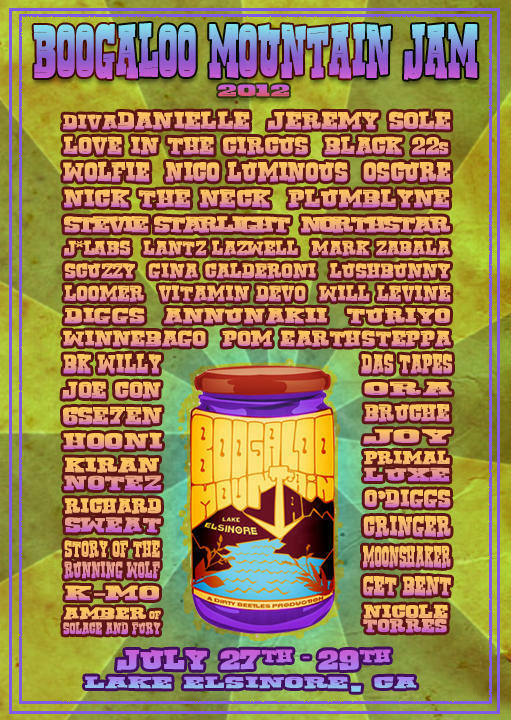 VISIT and 'LIKE' the Boogaloo Art Car Fan Page!